First up, asparagus. We all know that I’m a big fan of this spring vegetable, if you’ve read my blog before you also know what a huge love affair I am having with the cookbook The Glorious Pasta of Italy by Domenica Marchetti. So when I was in the bookstore a few weeks ago and saw her book Rustic Italian there was no debate I had to get it. (the only debate was how to sneak it into the house so my husband didn’t realize I’d bought yet another cookbook!). I’ve only just started to delve into it, but it is exactly the kind of food I like. Simple and flavourful. 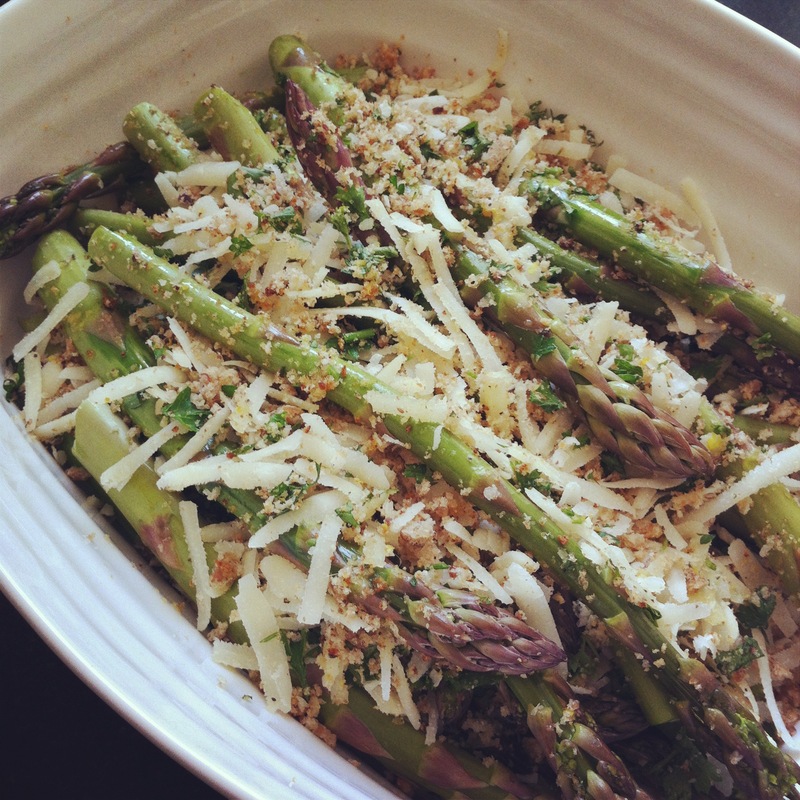 In my search for a new variation for asparagus I came across her recipe for Asparagi al forno con asiago. Oh heck yes. Light and rich all at the same time it added wonderful depth to a simple dinner of barbequed sirlion and garden salad. And, if you’re restrained enough at dinner that you have leftovers, I suggest you bake it into some eggs for breakfast the next day. Heavenly. 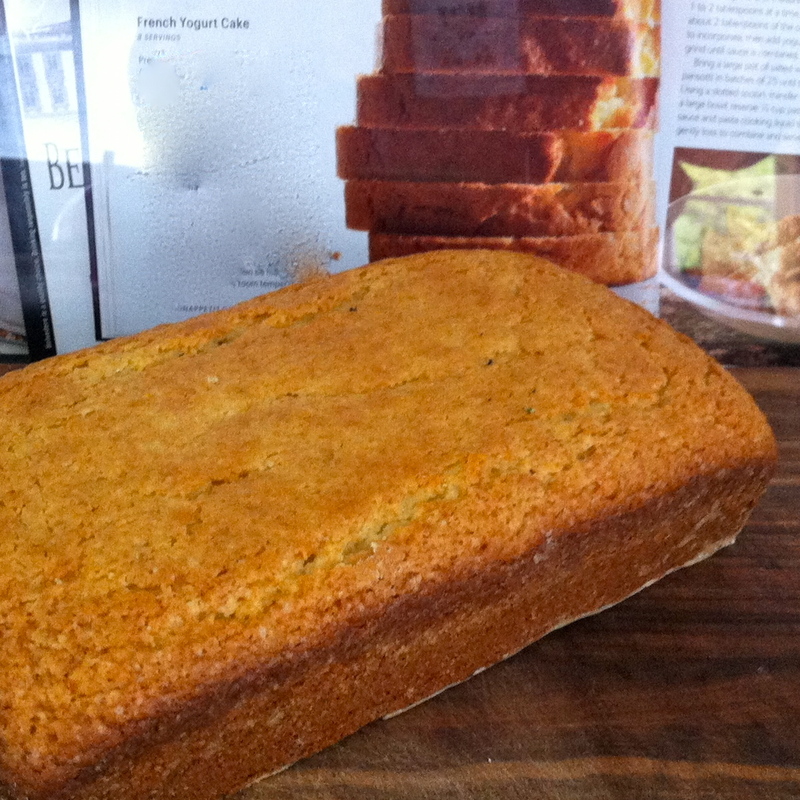 Next up was a French Yogurt Cake from the May issue of Bon Appetit Magazine. Baking is always a challenge for me but one of my goals is to find a few go-to recipes so I can stop asking people to bring their own dessert when they come for dinner. It looked fairly simple and I thought I had all the ingredients so I decided to give it a try. Turns out I didn’t actually have the ingredients (a reminder why the rule “read the recipe through before you start” exists). I used vanilla yogurt instead of Greek and olive oil instead of vegetable oil (how am I a house without vegetable oil?). Well, I don’t know what it would taste like with the proper ingredients but it worked for me. My house guests seemed to like it and everyone agreed that it had a nice lemon flavour and wasn’t as greasy as some cakes like that often are. All in all a couple of keepers. Just the kind of easy recipes to let me enjoy my weekends some more. 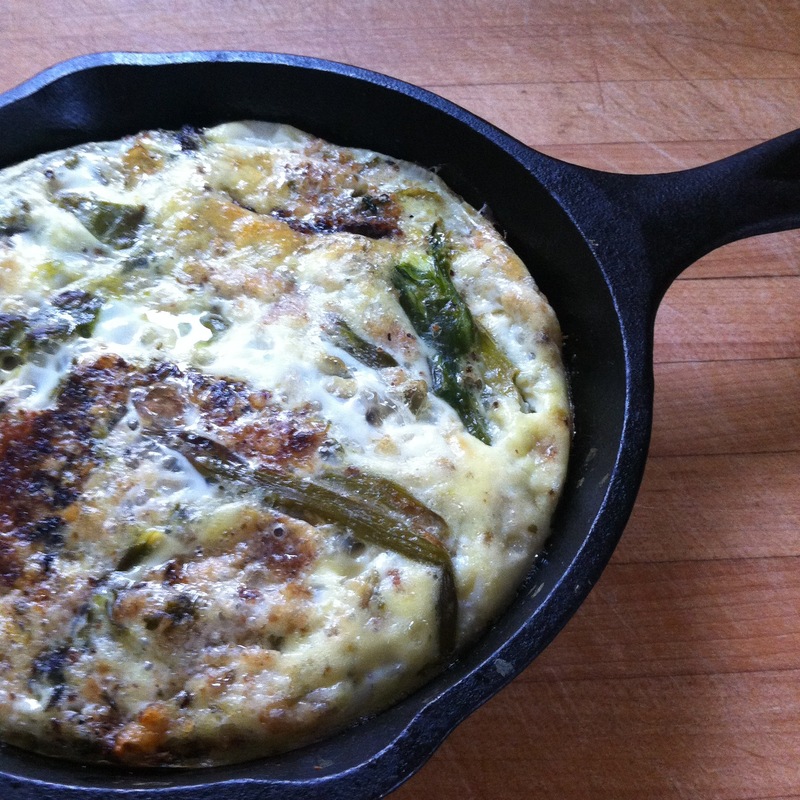 This entry was posted in Books, Cookbooks, Dessert, Food, Recipe, Vegetarian and tagged asiago, asparagus, cake, cheese, cookbooks, dessert, lemon by mostlynoodles. Bookmark the permalink.